Every day is “Kid’s Day,” and that long awaited one day of the year, “Mother’s Day,” is almost here! 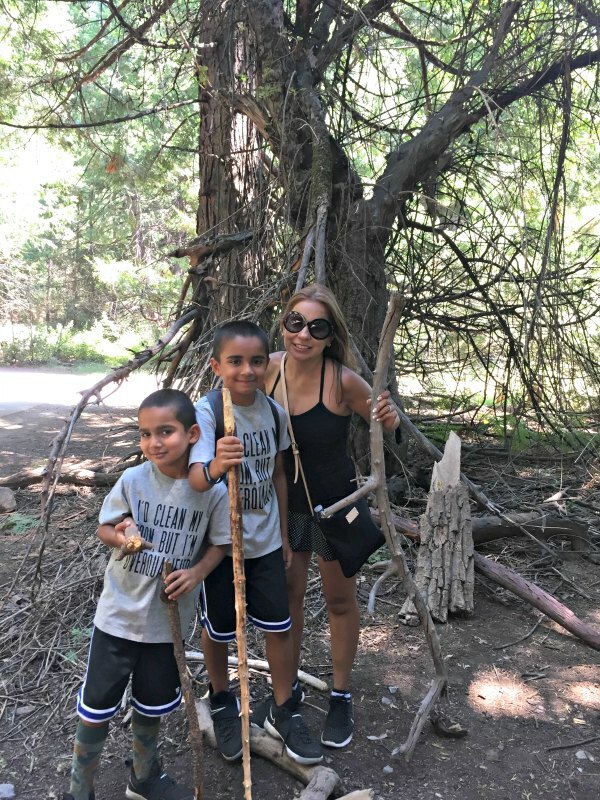 Many of you are probably so busy multi-tasking that you forget about this special day that celebrates you: a day that is all about your motherhood journey, and not about the husband and the kids! In the past for Mother’s Day, I am sure we have all received our fair share of flowers, spa certificates, and maybe a special brunch. 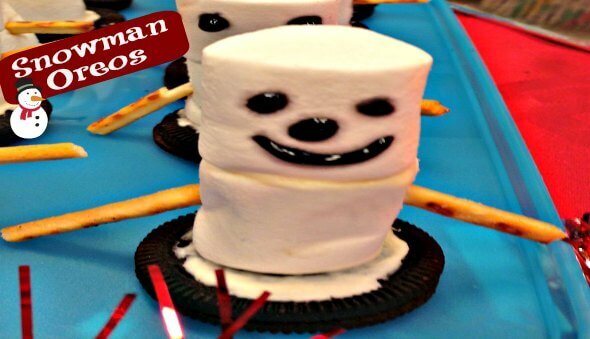 These are great gifts for sure. But wouldn’t it be nice to do something different that reflects your own special personality? 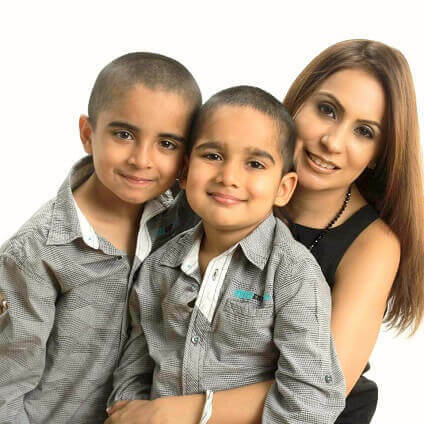 Just because we are all super awesome mums, it doesn’t mean we all like the same things! 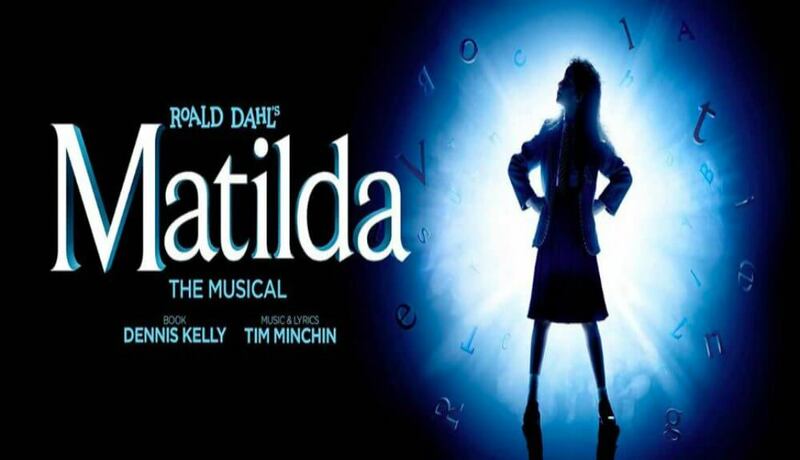 This Mother’s Day, why not try something different? 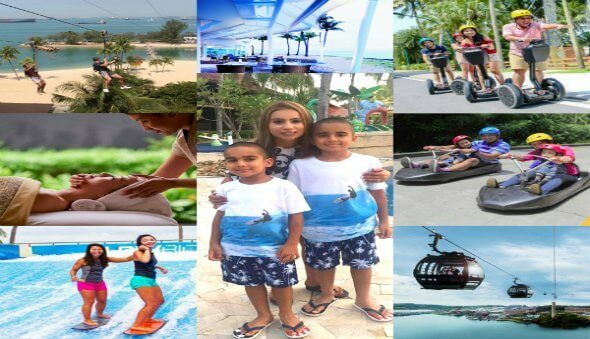 If you are still not sure about what to do this year, let me give you some ideas on how to have a fun-filled Mother’s Day at Sentosa that celebrates your individuality and unique personality! Always on the go and wish you could go faster? 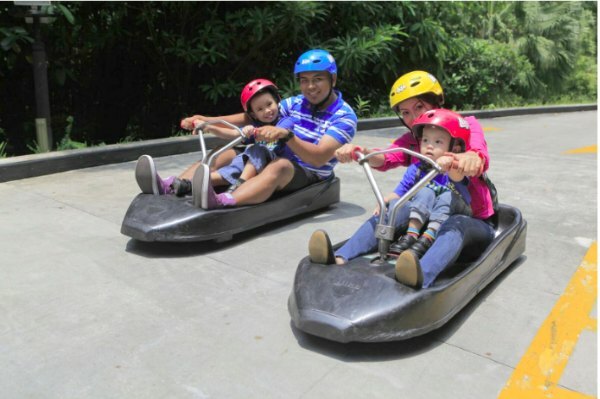 If speed is your thing, then the Skyline Luge is for you. Experience a gravity-fuelled ride that allows you full control over how fast you go down the tracks. Ride alone or with your kids – you decide! Wish you could hob-nob with the Hollywood elite? If you want to hang out with the “stars,” pay a visit to the Madame Tussauds Singapore and make sure to take lots of selfies with your new besties (with the right filter no one will ever know one of you is made of wax!) While you are there, you can also check out the new Marvel 4D cinema (yes, I too agree that Thor and Captain America are hotties). Hate feeling grounded? 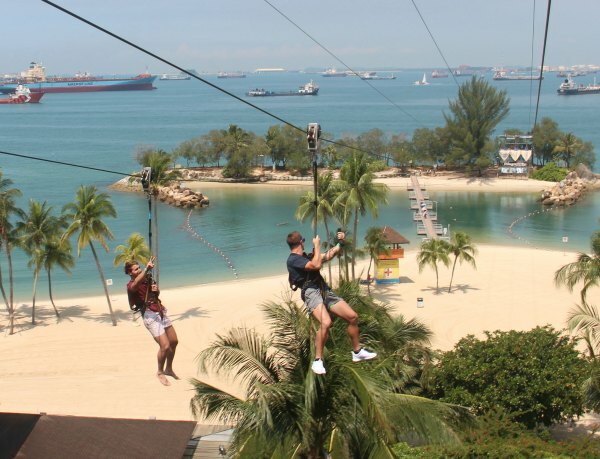 Want to feel the adrenaline rushing through your veins as you fly over the beach and jungles of Sentosa at rapid speeds? Then MegaZip at Mega Adventure Park is for you! Soar like an eagle and experience an exhilarating ride. Like to feel the soft sand between your pedicured toes, while listening to the sound of splashing waves? Then relaxing in a beach-facing cabana, while sipping a Hawaiian-inspired cocktail at Ola Beach Club might just be your thing. 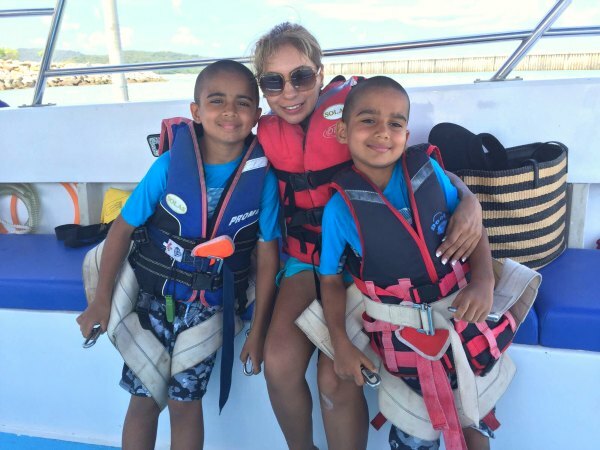 Make sure to engage in some family water sports — like riding a jetty or banana boating — to really give you that whole vacay, beach vibe. Are you a stop-and-smell-the-roses type of gal? If you love nature and being outdoors, take a family stroll through the Imbiah Trails to enjoy the lush greenery. 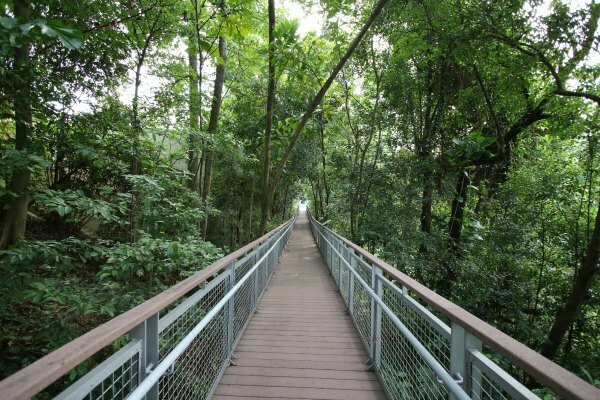 Then take the lift up to Fort Siloso Skywalk to experience a scenic treetop trek and aerial view of the island. 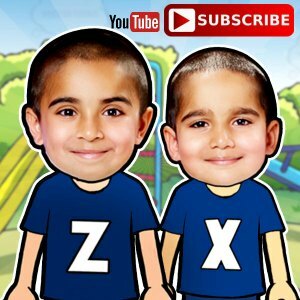 Do you want to feel the breeze blowing through your luscious locks as you drop and swing miles above the ground? 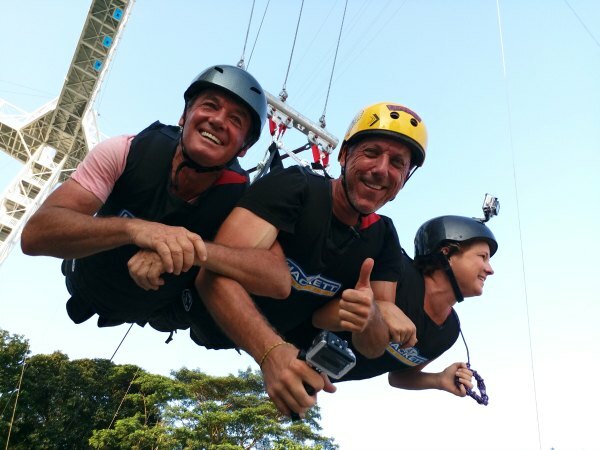 Well then you must head over to Sentosa’s newest attraction, AJ Hackett’s Dual Giant Swing. It’s a totally new innovation that allows you to swoop side-by-side with your family to share a soaring experience. 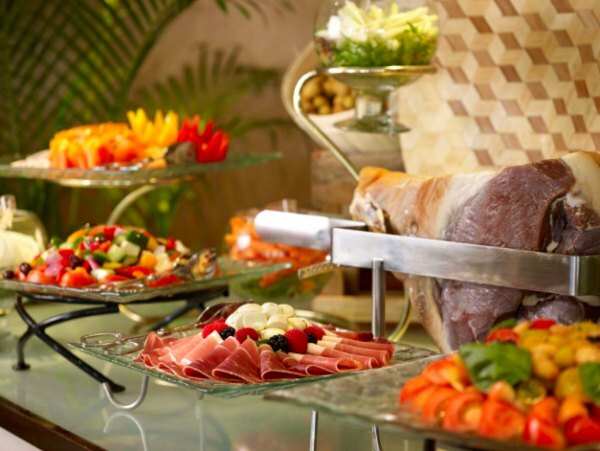 If you want to indulge, get a little tipsy and put the diet on hold, then a champagne brunch is just right for you! There are plenty to choose from at Sentosa. Here are some special brunches that might satisfy your exquisite taste buds: The Kitchen Table at W Hotel at the Cove (a raw bar and a premium range of carveries and roasts); The Knolls at Capella Singapore (with sumptuous delicacies and live stations); or, Barnacles by the Sea at Shangri-La’s Rasa Sentosa Resort & Spa (dine in style while feeling the sea breeze). Are you a pro at balancing your busy life? Always on the go and legs just can’t move fast enough? 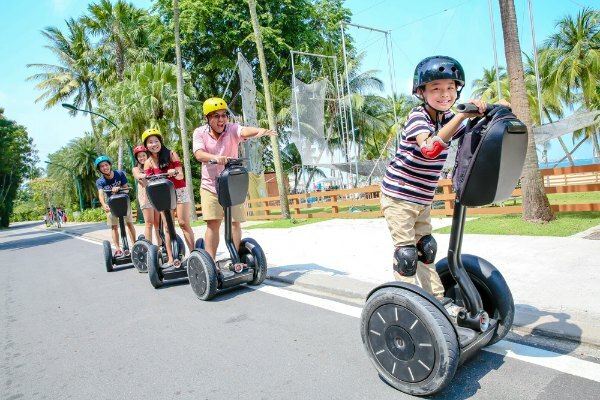 Then an electric, self-balancing Segway is just right for you this Mother’s Day! Who needs to walk anyway, when you can whiz by and catch all the sights and beach vibes on two wheels! Are you a laid back, California type of gal that just wants to ride the waves? 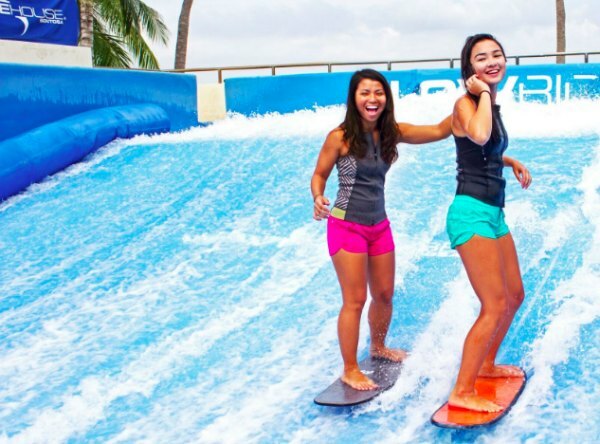 Then you need to get your surf on at Wave House Sentosa! Bikini up and grab your board to experience some fully-flowing, curling and barreling sheet-waves right here in Singapore! And if you wipe-out, just get back up again! Burning the candle at both ends and just need some time alone? 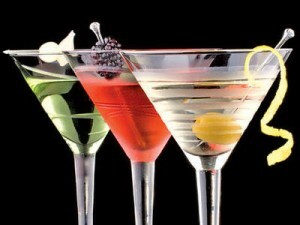 If you just need a break and want to be pampered, that’s OK too, because after all it is your day! 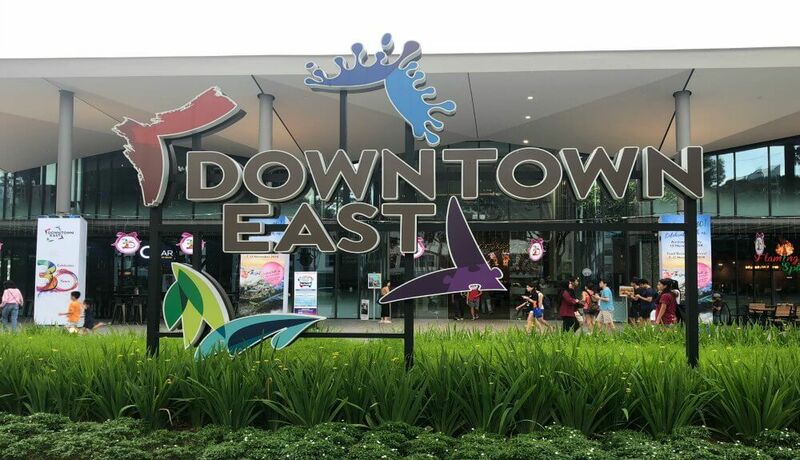 Dad can be adventurous with the kids, while you have a relaxing day at one of the many luxurious Sentosa spas. 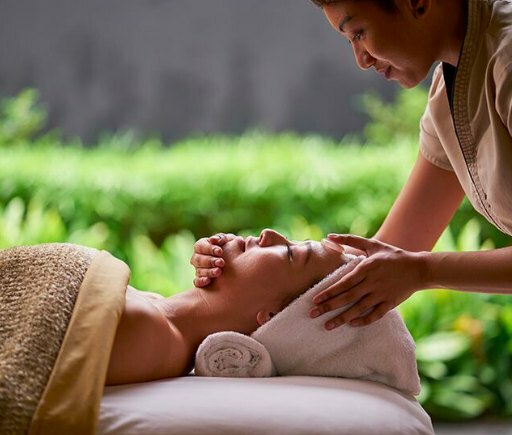 Enter into the lush greenery at the Away Spa in W Hotel Sentosa Cove, the tranquil oasis at So Spa Sofitel, or nourish your mind and spirit at the Auriga Spa at Capella. Now that you know your “mum style,” you are sure to have a fabulous, exciting and super fun Mother’s Day. 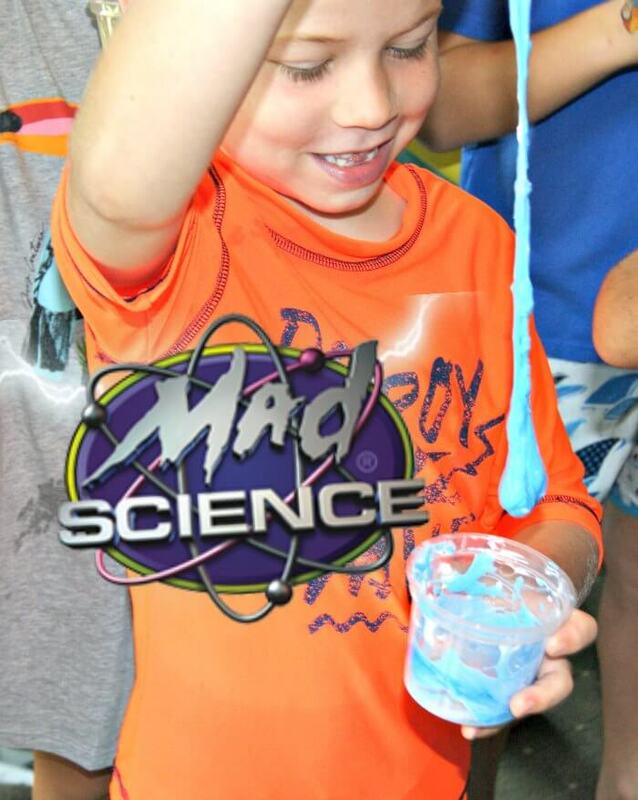 Get out there and show your family just how much fun us mums can have! Mums just wanna have fun, too! Wishing all the Super Mums out there a very Happy Mother’s Day! Hope you have an amazing day –you deserve it!